"Use your sour milk to make a loaf of bread that everyone will enjoy. A simple, easy bread machine recipe." See how to use your bread machine to make sweet, nutty monkey bread. Absolutely wonderful. Quick and easy bread that is tasty and great to toast. The Recipe seems so easy, but i am having problems with this recipe. I tried it more than 3X and the bread rises and it falls. DOnt understand. Can someone help please. I used my breastmilk to make bread for my child who is deathly allergic to traditional forms of milk. The bread turned out great! I made this with half whole wheat flour and added 2 T. gluten and 2 T. dry milk powder. It rose really well at first, then fell a bit. Good taste; not much to look at. 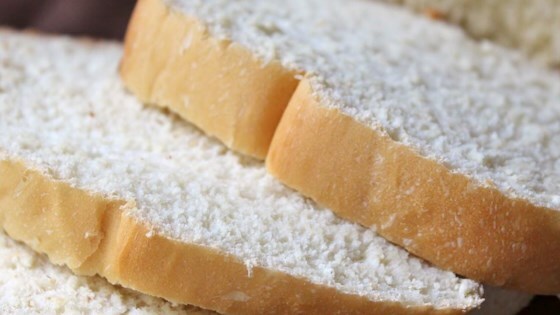 Nice, basic white bread. A great way to use up some milk.